View of the 2017 Parklea Pakenham and District Agricultural and Horticultural Show's Hoof and Hook Competition under lights at the VLE. 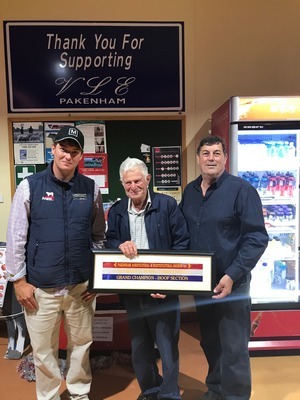 The annual Hoof and Hook Competition run by the Parklea Pakenham and District Agricultural and Horticultural Show Society will be again held at the Victorian Livestock Exchange, Pakenham, on Saturday 1 December. The Hoof section begins at 6pm with dinner followed by the judging of the cattle at 7pm. 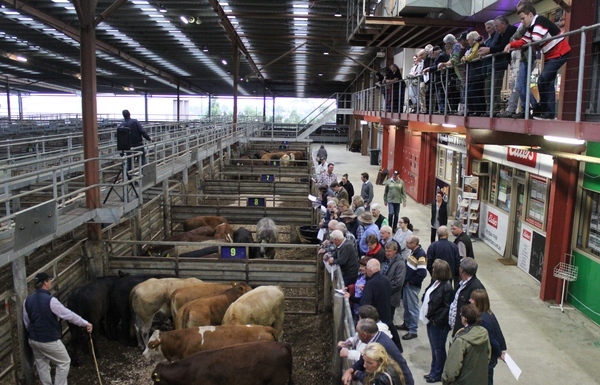 Professional and hobby cattle breeders are given the opportunity to see how their farming techniques compare. Members of the public will find the competition informative and benefit by learning about meat quality and the various cuts of meat. The competition is divided into three classes, 250-325 kgs, 330-385 kgs, 390-460 kgs. Ribbons and prize money will be presented at the conclusion of the judging. 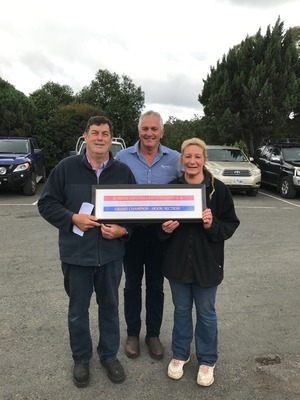 The Hook section will be judged using the MSA standard at Radford’s Abattoir, Skinners Road, Warragul, by Paul Sheedy. Viewing time will be at 9am on Tuesday 4 December. Paul will be available to answer any questions that may arise. Prizemoney and ribbons will be presented at the conclusion. Further information from competition superintendents Roger on 5629 1070 or Malcolm on 0419 292 530.